Problem: Your C: drive is out of space on your Windows 7 computer / Windows 2008 Server and you need to cleanup the Windows Error Reportings which often takes some GB. Information: The acronym WER stands for “Windows Error Report”, and is a Microsoft technology that saved crash information.The idea was, that those infos where send via the winqual service to hardware and software companies, after a crash was detected. The idea isn´t bad at all, but WER has a problem, it never deletes the data gathered automatically. In Windows 7 you can remove the content via the "Disk Cleanup" (you need to select that from the list). However in Windows 2008 you do not have a "Disk Cleanup" per default. If you add it as mentioned here, it will not bring up the service to cleanup to files as offered by the Windows 7 "Disk Cleanup". 3.) You will now find a "View all problem reports" option. Click on it. 4.) 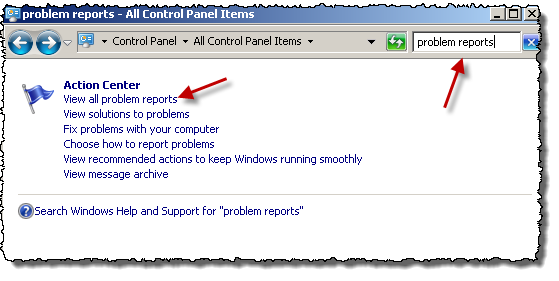 In the windows which will then popup you have the option to press the "Clear all problem reports" where you need to click on. 5.) If you now check the WER ReportQueue folder here C:\ProgramData\Microsoft\Windows\WER\ReportQueue it should be empty and no files should be left. Depending on your OS Language the English keywords might not work here! If you do not wish that these files will be generated, you can completely disable them. 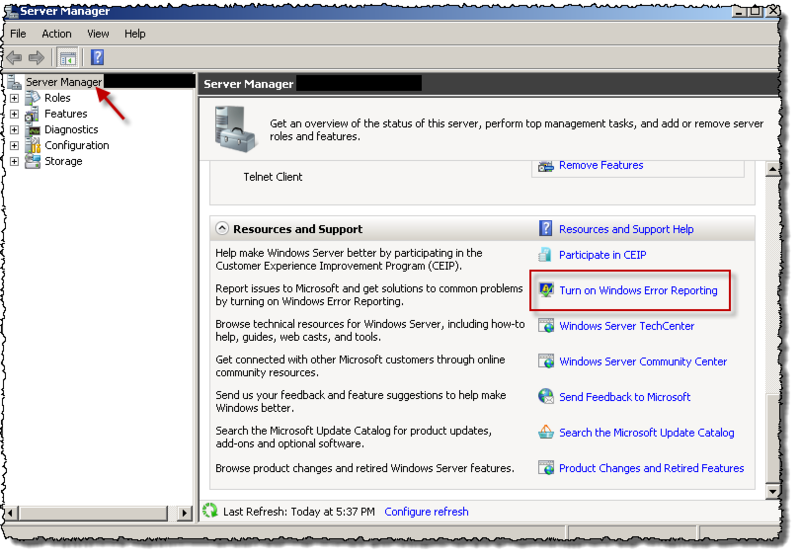 If the menu entry is called "Turn on Windows Error Reporting" click on it and make sure the feature is really disabled. suggest replacing the search things with run and the actual program name.